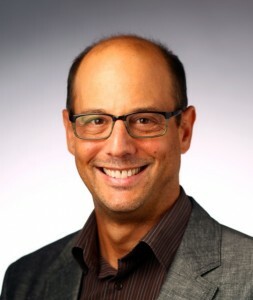 After more than a decade as a Spanish professor, I was delighted to join the Department of French and Italian at Vanderbilt in the Fall of 2010. My PhD was in Comparative Literature and I am committed to comparative approaches to the literatures, languages, music and cultures of the Francophone, Hispanic and Anglophone Caribbean. 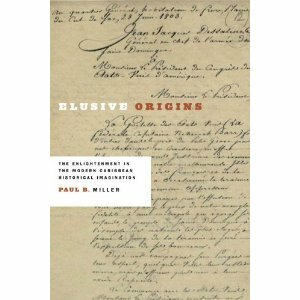 My book, Elusive Origins: The Enlightenment in the Modern Caribbean Historical Imagination, was published in May, 2010 by the University of Virginia Press. In it, I discuss the legacy and re-evaluation of the impact of the Enlightenment in the Caribbean as reflected in six modern Caribbean authors from across linguistic and national boundaries. My current book project Windward Passages: Haitian and Cuban Writers in Dialogue (under contract with the University of Virginia Press) constellates key moments of cultural exchange and dialogue between Cuban and Haitian writers in an intellectual genealogy leading from the Haitian to the Cuban Revolution. 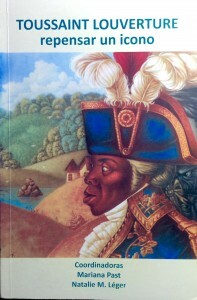 Essays from this monograph have appeared recently in the journal Contemporary French and Francophone Studies and in a volume published in Cuba, Toussaint Louverture: Repensar un icono. In addition to French and Latin American literature courses I also introduced into the curriculum at Vanderbilt a course on Latin American and Caribbean Jewish writers that I have taught in Spanish and English. I have an ongoing book project on this topic entitled “The Dialectics of Tradition and Assimilation in Latin American and Caribbean Jewish Writing” and have published several essays on this topic. 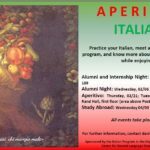 In addition to my teaching and scholarship I have enjoyed leading study abroad groups to Aix-en-Provence as the Professeur-en-Residence of Vanderbilt-in-France; Madrid as the Director of the Vanderbilt-in-Spain, to Cuba in a Vanderbilt “Maymester” and on several trips to Cuernavaca, México. In my spare time I enjoy playing basketball with students and faculty at the Rec Center, tennis at the Currey Tennis Center, and playing jazz, classical, flamenco and rock and roll guitar. Elusive Origins: The Enlightenment in the Modern Caribbean Imagination. Charlottesville, Virginia: The University of Virginia Press, New World Studies Series, 2010. Windward Passages: Haitian and Cuban Writers in Dialogue. Forthcoming, The University of Virginia Press, 2017. Hérard Dumesle, Voyage dans le nord d’Hayti, new edition with notes and an introduction. Paris: L’Harmattan, 2017 (forthcoming). “The Dialectics of Assimilation and Tradition in Latin American and Caribbean Jewish Writing.” In process. “¿Un Cubano Más? : An Interview With René Depestre about his Cuban Experience” Afro-Hispanic Review, 34.2 (Fall 2015): 157-175. “Boukman in Books: Tracing a Legendary Genealogy.” In Caribbean Interorality in the New Millennium. Ed. Hanetha Vete-Congolo. New York: Palgrave MacMillan, forthcoming, 2015. 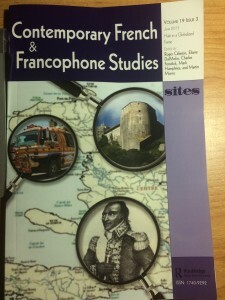 “‘Il acceptait son nouvel état avec philosophie’: Depestre, Cuba, and Popular Expression.” Contemporary French and Francophone Studies. 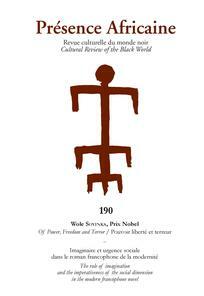 19.3 (2015) Special Issue: Haiti in a Globalized Frame. 249-260. “‘Tous les hommes sont l’homme’: Anténor Firmin, Toussaint Louverture, la igualdad racial y el hecho de la negrez.” Toussaint Louverture: repensar un icono. Eds. Mariana Past and Natalie M. Léger. Santiago, Cuba: Casa del Caribe, 2015. 52-79. “‘ La plus froide ironie’ : distance et proximité ethnographiques chez Alejo Carpentier et René Maran.” Presence Africaine 187.1 (2013) 217-30. 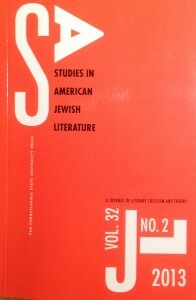 “I Hear therefore I know: Post-Dictatorial Traumatic Expression and Death and the Maiden.” Studies in American Jewish Literature. 32.2 (2013) 121-40. “Remoteness and Proximity: The Parallel Ethnographies of Alejo Carpentier and René Maran” in Symposium, 66.1 (2012) 1–15. “Alan Wells, Tropical Zion: General Trujillo, FDR, and the Jews of Sosúa.” Review Article. Ameriquests 7.1 (2010): Radicalism in Quebec and the Americas. “Literature and Popular Culture.” In Understanding the Contemporary Caribbean, 2nd Edition. Eds., Richard S. Hillman and Thomas J. D’Agostino. Boulder, CO: Lynne Reinner, and Kingston: Ian Randle: 2009. 339-366. With Kevin Meehan (Revised for second edition). “Marti, Schomburg y la cuestión racial en las Américas.” Afro-Hispanic Review. 25:2 (Fall 2006) 73-88. With Kevin Meehan. 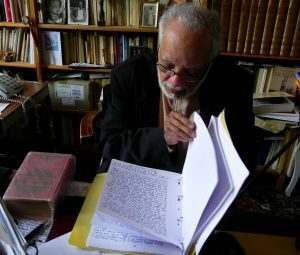 “Reading Caribbean Music: the Compositions of Leo Brouwer.” Literature, Music and Cultural Unity in the Caribbean. Ed. Timothy Reiss, Trenton, NJ and Asmara: Africa World Press, January, 2005. “The Prison House of Allegory: Reflections on the Cultural Production of the Cuban ‘Special Period.’” Inti, Revista de Literatura Hispánica. 59-60: Spring-Fall, 2004. 195-206. “No saber estar: el pecado original de Calvert Casey.” Universitas Humanistica 54 (2002): 93-99. “Enlightened Hesitations: Tragic Heroes and Black Masses in C.L.R. James’s The Black Jacobins.” MLN 116 (2001): 1069-1090. “Blancas y Negras: Carpentier and the Temporalities of Mutual Exclusion.” Latin American Literary Review 58 (2001): 23-45. “Transiciones ideológicas en las películas de Gutiérrez Alea.” Cifra Nueva: Revista de Cultura 9 (1999). “Memories of Underdevelopment. Thirty Years Later: An Interview with Sergio Corrieri.” Cineaste XXV/1 (1999): 20-23. “Memorias del Subdesarrollo, treinta años después: Una entrevista con Sergio Corrieri.” Cifra Nueva 8 (1998): 189-201. “Francisco Goya,” “Isaac Albéniz,” “Andrés Segovia,” and “Fernando Sor.” Dictionary of Hispanic Biography, Detroit: Gale Press, 1995.
Notable Latin American Women, various entries, Detroit: Gale Press, 1993. “Patrick Chamoiseau: Seven Dreams of Elmira.” Wadabagei: A Journal of the Caribbean and its Diaspora Vol.7 No.1 (Winter/Spring 2004), 169‑174. “Daniel Chavarría: The Eye of Cybil”, Greekworks.com, online journal. February 17, 2003. “Rodolfo Privitera: Desde otro lugar.” Inti: Revista de Literatura Hispánica 48, 1998. 179-82.